Blow your hair curl naturally in just 1 minutes! Wind Spin Easy Curl Diffuser is a revolutionary new way tool for creating luscious natural curls while drying your hair all in one simple process. Using cutting-edge technology, it gives soft, tangle-free curls to your hair in just a minute, just attach it together with your hair dryer to make your hair curl naturally without damage. 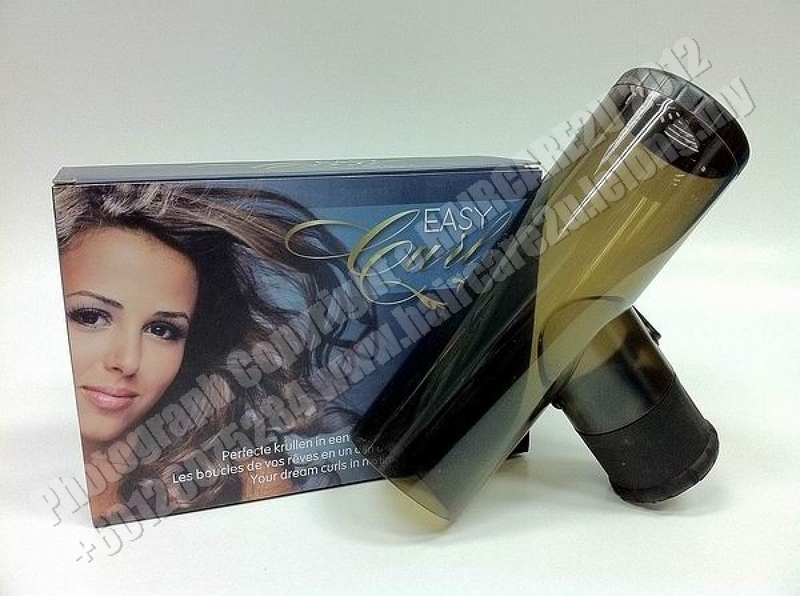 It is safer than using a curling iron and it can change the wind direction to choose the different style of hair curly. Step 1: Wash and condition hair as normal. Towel dry and detangle with added bounce and shine apply styling spray on the hair. Step 2: Attach the wind spin diffuser to the hair dryer and select wind direction you want. Step 3: Insert your hair and move the wind spin diffuser up and down. Step 4: For maximum curls and waves, please use your fingers to separate the curls. Step 5: Switch "Hot Wind" on the hair dryer for a while to get the hair curls. Step 6: Switch "Cold Wind" on the hair dryer for a while to cool down hair to consolidate the hair curl shape. Step 7: After 1-3 minutes blowing on every parts, release your hair from the wind spin diffuser for the ready curl effect result.